For the purposes of our breakdown of Roatan, Mid Roatan is the area located between French Harbour and Coxen Hole, this is the most populated and largest commercial area in Roatan. It is also where some of the most outstanding hotel alternatives are to be found. Following is our list for Mid Roatan Hotels. 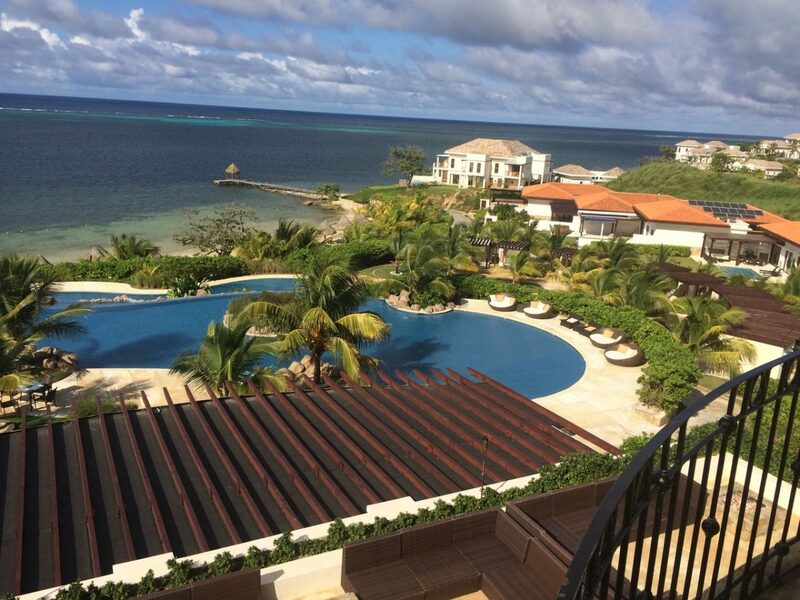 Easily the most upscale, exclusive residential site on Roatan Island, Pristine Bay is home to the Black Pearl Golf Club, and offers luxury one, two, three and even four bedroom villas for rent. Villas are all fully equipped, many even have their own private pool, and of course, you have access to the Golf Course, tennis courts, and the restaurant facilities on premises. All villas in the rental pool include full daily house cleaning service and a fully equipped kitchen. This lovely boutique hotel offers a total of 40 deluxe rooms, and is located within the Pristine Bay Residential complex. Luxury accommodations at Las Verandas, as well as full access to the World Class championship Golf Course by Pete Dye are some of the perks available to guests staying at Las Verandas. A lovely beach, with all of the amenities you may want is also part of the deal. Food is absolutely delicious here! Las Verandas is certainly one of the top alternatives for high end Mid Roatan hotels. Palmetto Bay is located on the north coast of Roatan Island, and offers a unique, very isolated feel that will make you feel you are almost alone on the island. A lovely beach area, a nice pool and great restaurant complement the villas which are built with extremely good taste and blend into the local environment very well. Palmetto Bay is the perfect spot to relax and enjoy the magnificent Caribbean with class! 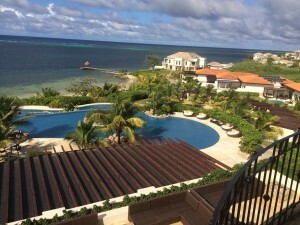 Clarion Roatan Pineapple Villas is a condo complex located just outside of French Harbour. These are probably the largest, most spacious hotel rooms and suites on the island, and many offer a private terrace with great ocean views. 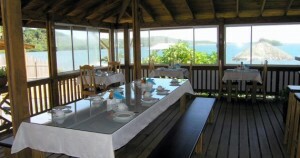 Although the property has the drawback of not being on the beach, they have an agreement with the folks at Little French Cay which allows guests to make use of their facilities, effectively giving guests access to one of the nicest private beaches in Roatan, which is full of different services and activities. Pineapple Villas also offers a complete dining experience, with the best steak house on the island and the best sports bar in Honduras. This is the largest of Mid Roatan hotels. One of the original dive and beach resorts on the island, Fantasy Island has changed hands several times over the years. Making a site inspection on the property was not possible, because they are absolutely obnoxious about letting people into the hotel grounds, but the reports we get is that the hotel is rather run down. The hotel offers a true island feeling to it, and has a nice white sand beach which is the result of dredging sand in the ocean and relocating to what used to be a mangrove coastline. Fantasy Island Resort offers a total of 115 rooms, making in one of the largest mid Roatan Hotels available. Probably the original dive resort on the island, Coco View is a true institution in Roatan. The fact that most of their guests are return clients speaks a lot of the service and experience that guests absolutely love while staying here. The resort is located on a small cay, and therefore access is available only by boat, making it a very exclusive setting. Rooms are cabins over the water, and although the resort is very much geared to divers, it has a lot of charm and character to it. Coco View is small and intimate, and has a true sense of place that makes guests return time after time. Located in Dixon Cove, Tobri Divers Resort caters to divers, and is a true diver’s paradise. A small resort, with only 4 rooms, insures un-crowded facilities, personalized diving and outstanding service. If your trip to Roatan is planned around diving, then you should certainly consider Tobri Divers as an option for your stay. A hotel in an unlikely location. The Executive Inn is located on a small hill overlooking a middle class residential area in the island. Rooms are nice, and they do offer a pleasant pool, however who wants to visit an island and have a view of a middle class residential area that you have back home? Part of the same operation that owns and runs famous Gios Restaurant in French Harbour. Although the property is on the water, it is on the harbor itself and therefore not appropriate for swimming. The upside is that is a great location for an extended stay as well as for taking care of business on the island. Rooms are comfortable, clean and fair priced. Service is good, and although the hotel is quite basic and with no frills, it does have the benefit of being just over one of the best restaurants on the island! A small boutique property that caters to a very upscale crowd. Barefoot Cay is the preferred location on the island for luxury yachts, and there are always a varied set of beautiful yachts at their marina, with the owners staying in the lovely rooms within the premises. This is certainly one of the upscale Mid Roatan Hotels. There is a full service PADI Dive Center on premises that caters to guests and offers a variety of diving packages and courses. 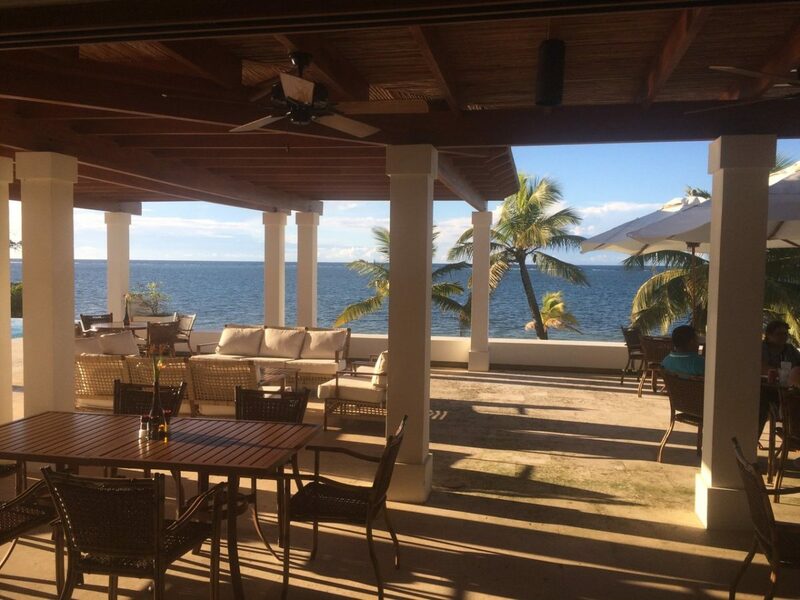 Originally the French Harbour Yacht Club, this is probably the oldest hotel in Roatan! God only knows how many great island tales have been shared within the premises of this authentic island property. The facilities have been renovated, but still retain the original charm and character. It is located at a small hilltop at the entrance to French Harbour. The property does have some boat slips down by the bay area, protected by French and Little French Cay. Their 17 rooms are all the typically island style wooden construction, but with all the modern accessories, such as air conditioning, wi fi, private bath with hot water, etc. The Cay View Hotel is located in downtown Coxen Hole. This hotel is not a resort, and functions more like a business hotel that a property for tourists, but if you are in need to be in Coxen Hole, it is certainly one of your best bets. Also located in downtown Coxen Hole, the Hotel Roatan is a small hotel offering basic clean rooms, friendly service and a so so location. It’s a good alternative is you only need a place to sleep before you catch your flight the next morning. Staff is very helpful in arranging activities and transfers throughout the island.